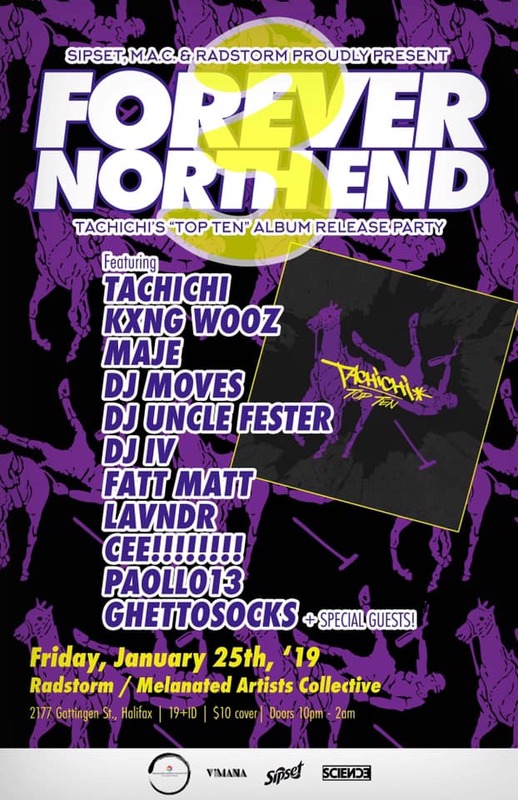 Hand'Solo Records » Blog Archive » Tachichi’s Top Ten release party – January 25! Home Bass > Tachichi’s Top Ten release party – January 25! Tachichi has a new album dropping January 25th. The release party is also that day, in Halifax, with his Sipset crew and other fam. See the flyer or the info below for the details. And get ready for Top Ten! Sipset crew are showing out for another album release, and they’re going to be playing hard hitting rap bangers!! Plus the night is filled with amazing artists performing live!! This is the second album release in 13 months for Tachichi so please show up and show your boy some love!! Get sippy! !